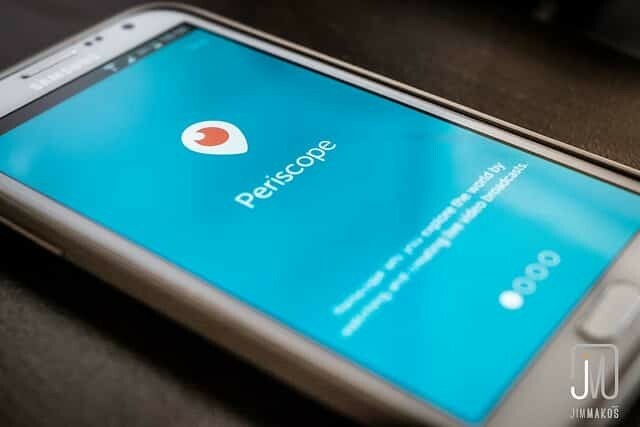 Even though Periscope live video streaming is easy to use there are still several steps to keep in mind when working with it to avoid becoming overwhelmed. This checklist covers everything you need to start connecting with your audience on Periscope. Download the app from iTunes or Google Play app store. Create your account by signing in with your Twitter username or phone number. Create a Periscope username. It can be the same as your Twitter handle or different. Periscope gives you suggested options for a username. You can use one of them or create your own. It must be at least two characters long. Your username is visible to other users. Your username cannot be changed once created but your profile information can. You can change your profile picture by updating your Twitter profile picture or by editing it in your Periscope profile. Update your Periscope profile with a link to your website or sign up page. The first tab shows the people you are following who are live on Periscope and the broadcasts you’ve attended in the last 24 hours. To join a live broadcast, tap the listing. To replay a broadcast, touch the one you want to attend. The second tab shows a map or a list of live broadcasts happening now that you can attend. The third tab is the broadcast button. This is where you are broadcasting live. This is displayed by the red button at the bottom right on an Android or the camera icon in iOS app. The fourth tab is the place to find people to follow. The number of followers that is displayed refers to how many Periscope followers a person has. The fourth tab is also where you can access your profile and other settings. To do a broadcast, open your Periscope account. Tap the broadcast tab. Put in the title that describes what you are going to broadcast. Choose your options via the three icons above the “Start Broadcast” button. Manage your location settings, Make the broadcast private or Limit your chat and/or Tweet live stream. Tap “Start Broadcast” to begin. To end a broadcast, swipe the screen down and tap ‘Stop Broadcast’. To save a copy, click the link at the bottom of the ended broadcast that says “Save to my camera roll”. Hearts are a way for you to share what you like on Periscope. If you like what you’re seeing, tap the screen to give the broadcaster a heart. Label your broadcasts. Briefly describe your broadcast with something appealing. Use emotions in the title. Keep the title short but compelling. Do a trial run without actually broadcasting to get comfortable. It’s okay to make a few mistakes but try to avoid fillers like “um” and “ah”. Interact with the viewers when they comment. Take the time to try to comment back or say “hi”. Thank people for liking you. Emails early in the launch should get people excited. Later emails should sell people on clicking to the sales pages. Don’t try to sell the product in your emails. Just get people to the salesletter and let the salesletter do the selling. Test all your links before you send any email. Tap the People Tab to find a list of suggested users to follow. Or to search for specific people, Tap the People Tab and then tap the magnifying glass icon on the top left. Enter their name in the search bar. Once you find the one you want, tap the “+” icon. Collaborate with other Periscopers. This is a powerful and effective way to grow followers. Give before you ask for help. Turn on the Twitter sign when posting a Scope. Follow your Scopes on Twitter to attract a wider audience. Encourage people to connect during your Scope. Ask them where they are from and what they are scoping about. Encourage those on your broadcast to follow others whose topics interest them. Do a “Behind the Scenes” Scope. Showing how you do things behind the scenes lets you be more personal. Build a community and encourage them to join you on regular Scopes. Give regular scopes every week at the same time so they can plan on sharing the time with you. Share valuable content that your followers can use and need. Make sure it’s something that solves their problems. Show Insider Videos. Use Periscope to display your knowledge by demonstrating how a product is made, walking your followers through the non-secure areas of your work or sharing how a product is works. Hold Focus Groups. Periscope lets you take advantage of its live feedback so you can save time and money if you are developing a new product or service. Ask your followers to vote on its development such as color choices or give feedback on the prototype. Professional How Tos and Tutorials. Offer in the moment how-to broadcasts, showcasing you doing something. Or teach your followers how-to do something free. Showcase your digital or service offerings. For example real estate professionals can use Periscope to broadcast open houses and reach more potential buyers. Live events. If your company is hosting a live event, use Periscope to bring in audiences from all over the world. Unveiling a new product on Periscope lets followers get an inside scoop on things. Can you give exclusive offers to your audience? People love discounts and giveaways. Make your customers feel special by giving them Periscope-only offers. You can track what is and isn’t working. Reach out to Amazon Kindle authors. These authors often have their own audience, and are often interested in making extra money. Consider using a 2-tiered affiliate program. This allows you to use your existing affiliates are recruiters. Add a link to your signup form in your Periscope profile. Make sure you avoid the hard sell. Don’t spend all your time on your broadcast selling yourself or your products. It’s fine to tell people to check out your link in your profile to sign up for your list. Encourage viewers to interact on Periscope. Encourage them to ask questions during the broadcast. Share your videos on your website and social media. Periscope lets you save your video to your phone once it’s recorded. Even though they leave it on the app for 24 hours you can put it on a page on your website devoted to your best videos. This builds authority and encourages people to visit your site and join your mailing list. Use this checklist to keep track of everything you need to do to make Periscope an asset to growing your business.